Fine food grocery shopping in Carroll Gardens/Cobble Hill/Boerum Hill really doesn’t get much better than Los Paisanos, a family owned business on Smith Street for the last 45 years. 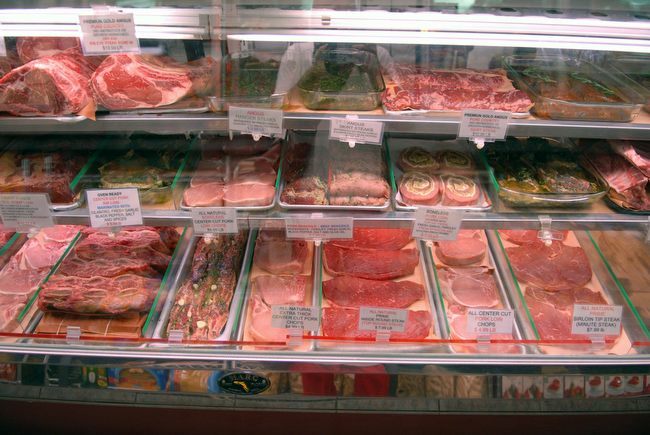 You really can’t beat the marinated pork chops, the steaks, including huge slabs of meat aged for years and years, the lamb chops and the excellent diversity of choice you find here. Some folks prefer Staubitz, some Esposito’s, both on Court. And while we love them both, it’s Los Paisanos that takes the steak.